Richard Will Wanket, is your real-estate agent working as hard as this guy? There are somethings on the internet that make you realise anything’s possible. This is one of those moments, the lengths agents will goto to get your business. Soon as my blackness enters the frame…. I’m sneaking in….. Black desi gets in there… Uh no, no face recognition buddy. HP Computers are racist. Read the HP response to this video. Clearly a failure in the QA department! 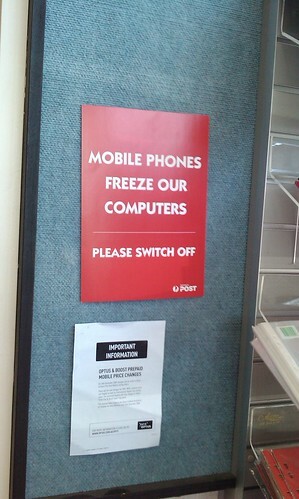 Posted at Australia Post in Blackburn. xkcd: Nachos, the end of an era, Geocities closes. The days of marquees, ‘optimised for Netscape or IE’ camps, frames (GamesGalore had it!) and lots of flashing animated gifs, because that was where it was at. No point pasting the comic here, check out xkcd and enjoy the memories. I swear that’s the only time you’ll ever see a marquee or a blinking text on this site!